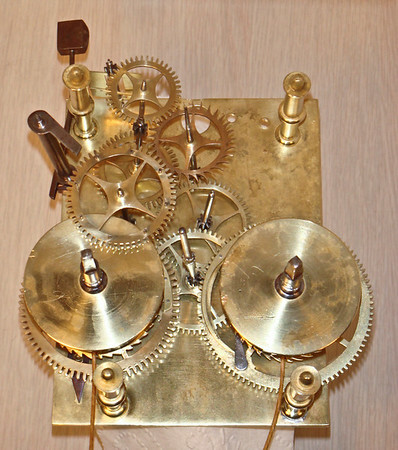 A classic British Bell Strike Long Case Clock mechanism from the middle of the nineteenth century. Loomes reports that a John Perry was active in London from 1839 to 1881, partnering with his son from 1863 to1881. The lack of the "and son" on the dial suggests this clock was made between 1839 and 1863.